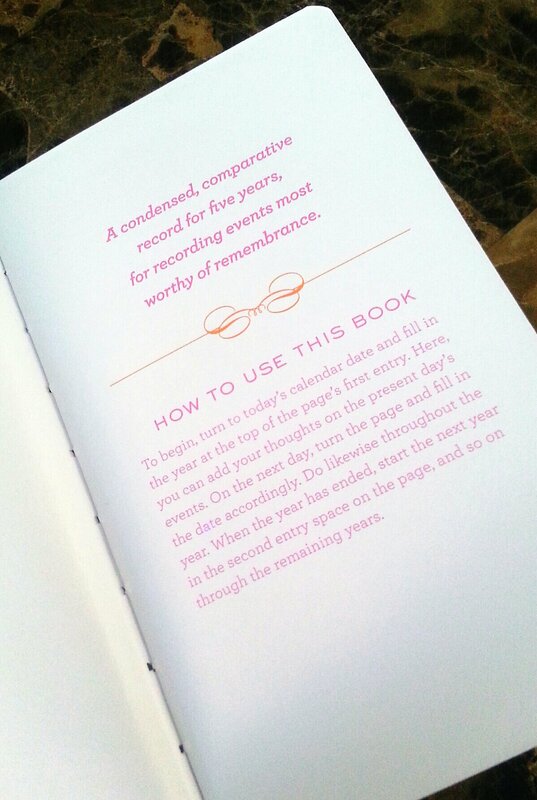 This past weekend, I stumbled upon the One Line A Day journal while browsing my neighborhood Chapters. After much debate, I purchased it, on a whim, hoping my fickle friendship with journals would finally come to an end. 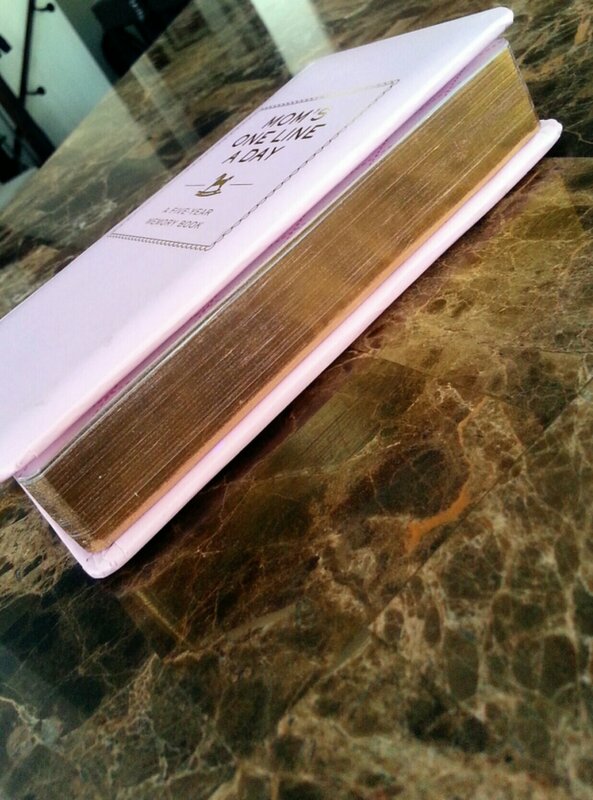 I’ve never been able to keep a journal long enough to see its final pages, let alone the center creases. 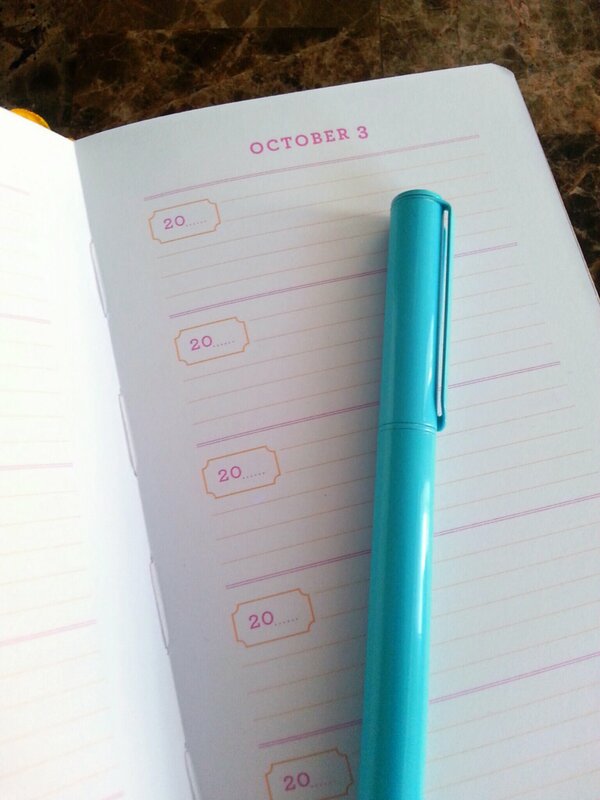 This journal, with its one line a day (ok, it’s actually five lines a day) appeal, lessens the commitment I feel in having to write paragraph after paragraph in a normal diary. I am able to jot down one or two special moments that happen during my day, whether it be something silly my toddler (TheBoy) says or a milestone my infant (LittleBoy) reaches. And if that isn’t enough, I am able to see my daily entries over the course of five years. In other words, if I write one line a day for the next five years, I will be left with a journal chock-full of memories! As a mommy who often forgets what she ate that morning for breakfast, this journal is exactly what I need. And with two kiddos to keep up with, spending a couple minutes each day jotting down special (or even everyday normal) moments seems very reasonable. Not to mention, this would make an amazing birthday, bridal or baby shower gift! I purchased my journal here from Chapters but you can also purchase it on Amazon here. For those who journal, how do you keep at it and what type of journal do you use? 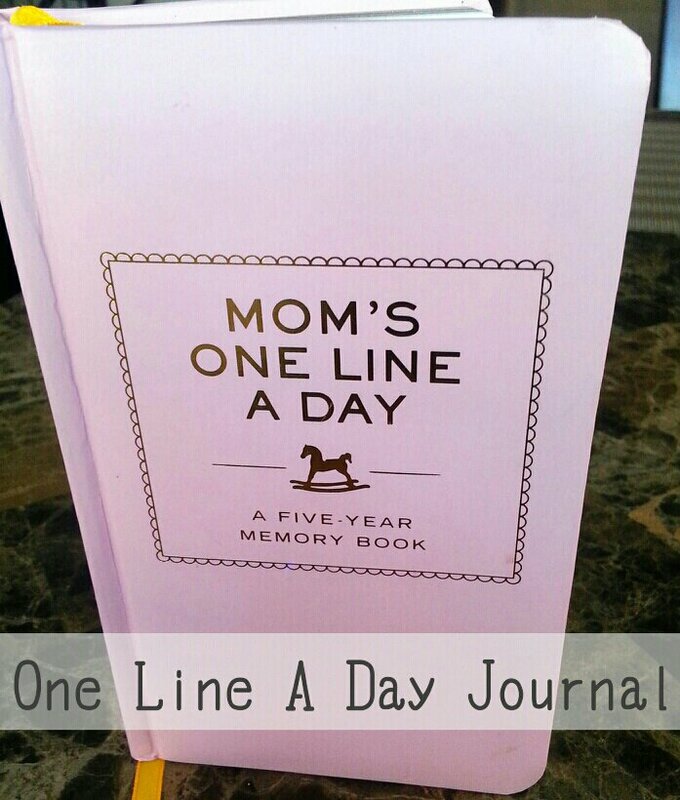 Would the One Line A Day journal appeal to you?